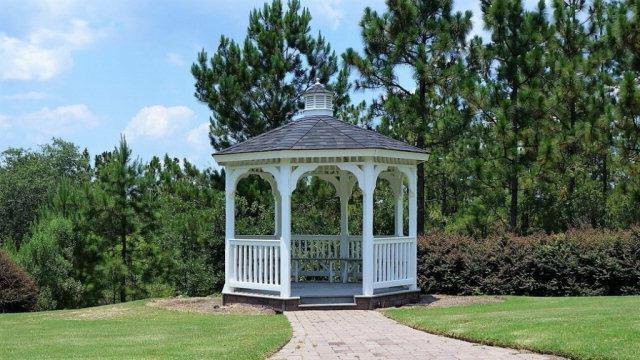 Beautiful Homesite, Close to University, Close to Golf Courses, Within 15 minutes of I20. The Jameson is a beautiful two story home with 2968 heated square feet. From the two story foyer you'll be lead to a spacious mother in law suite with a lovely tray ceiling. The fireplace in the family room features a timeless marble hearth and is situated in the corner providing space for an entertainment center or family photos. The Jameson's kitchen has plenty of cabinets for storage, and spacious granite countertops. Upstairs you'll find a large master suite with french doors, enormous walk in closet, two rooms with jack and jill bath, and another room with it's own full bathroom. Conveniently situated just minutes from historic downtown Aiken shopping and dining. Hitchcock Crossing is a peaceful neighborhood nestled in 350 acres of gentle rolling, wooded terrain located across from Aiken's famed Hitchcock Woods, which is the largest urban forest in South Carolina.